Good choice if you want to relax at the same spot a few days. This vehicle is from a private owner. If you want to see the best of the Boise landscape, you can’t do it from a plane, a car, or a boat. You need an RV. The best kind of road trip involves a group of family and friends, an open road, and a comfortable place to watch the country roll by through your windows. You’ll create memories and have the time of your lives as you travel wherever the wind takes you. Plus, there’s so much to see in Boise. The western state of Idaho is jam-packed with beautiful vistas, sprawling mountain ranges, and skies that seem to go on forever. Boise itself is a vibrant city with a thriving art scene and cultural attractions. In short, this is a great place for RV rental. Boise should be your next destination for the adventure of a lifetime. Renting an RV is the perfect choice for traveling with freedom while taking a big group of people along for the ride. Stop and go as you please with no schedules tying you down, crowded airports to navigate, or cramped cars to contend with. RV rental in Boise is that easy. There’s enough room for 2, 4, 6, or even 8 people. Plus, you’ll all be comfortable during your travels. You won’t need to limit yourself to one suitcase to meet strict plane requirements. Pack as much as you need and keep it in one of your RV’s convenient storage spaces. You won’t have to spend money eating out for every meal. Bring along your own food and snacks and cook as much or as little as you want in your RV’s kitchen. Take your time with travel. You can make as many pit stops as you want on your journey. Even if you decide to change plans last minute, it’s no problem. Truly see the country. In an RV, you’ll get to camp in beautiful spots along the way. You’ll see the landscape up close and truly experience nature. You’ll never be far from modern conveniences. Even if you’re camping in a remote spot, you can still hook up your RV for running water, toilets, showers, and electricity. Rent an RV for your Boise trip and make your way to one of these spots for an unforgettable experience. This sprawling forest covers over 2 million acres and features an array of landscapes to explore. Along with spruce forests, you’ll find streams and rivers, sagebrush steppes, mountain ranges, large bodies of water like Warm Lake, and peaks like Trinity Mountain. There are over 72 campsites in the area with activities like horseback riding, hiking, whitewater rafting, boating, biking, and off-roading. This is the perfect long-term stop to take your Boise RV rental. Make a pit stop at the World Center for Birds of Prey to see majestic birds like hawks, falcons, eagles, owls, raptors, and vultures up close. This center has both indoor and outdoor exhibits as well as wild habitats where you can see birds of prey in their natural setting. Check out the history of the area and visit this state prison built in 1870. It housed some of the most infamous criminals from the Old West. Here you can learn their stories and see how they lived. The museum also includes an extensive exhibit featuring historic weapons. Lucky Peak State Park is the ideal stop for swimming in the clear waters at Sandy Point, near the Boise River Greenbelt. You can also rent a boat at Spring Shores. Or, jump in canoes and kayaks and cruise down a flat water section of the Boise River. Your trip to Boise can start the sooner you rent your RV with Campanda. Huge selection of motorhome rentals – We have a big selection of vehicles to choose from for your trip. 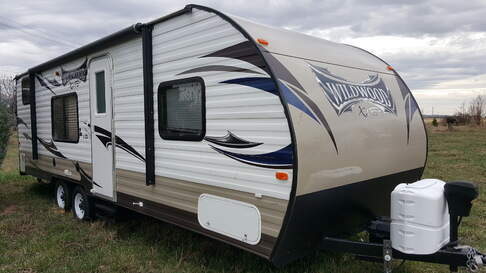 Whether you need a trailer, a camper rental, or a state-of-the-art motorhome, it’s all here. Convenient pickup locations – No matter where you’re beginning your journey, we have a convenient location to pick up your mode of transport. A wide range of price points – Whether you’re looking to go all-out for your road trip or take a totally fun yet money-saving excursion, we offer rentals at a wide range of price points. Booking your RV rental in Boise has never been easier or better. 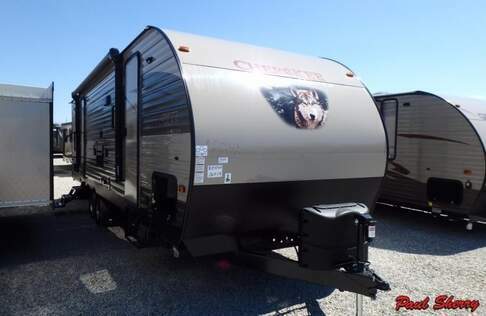 When you’re looking for an RV for rent, you have to go with Campanda. Book with us in Boise today to get started on your road trip adventure.